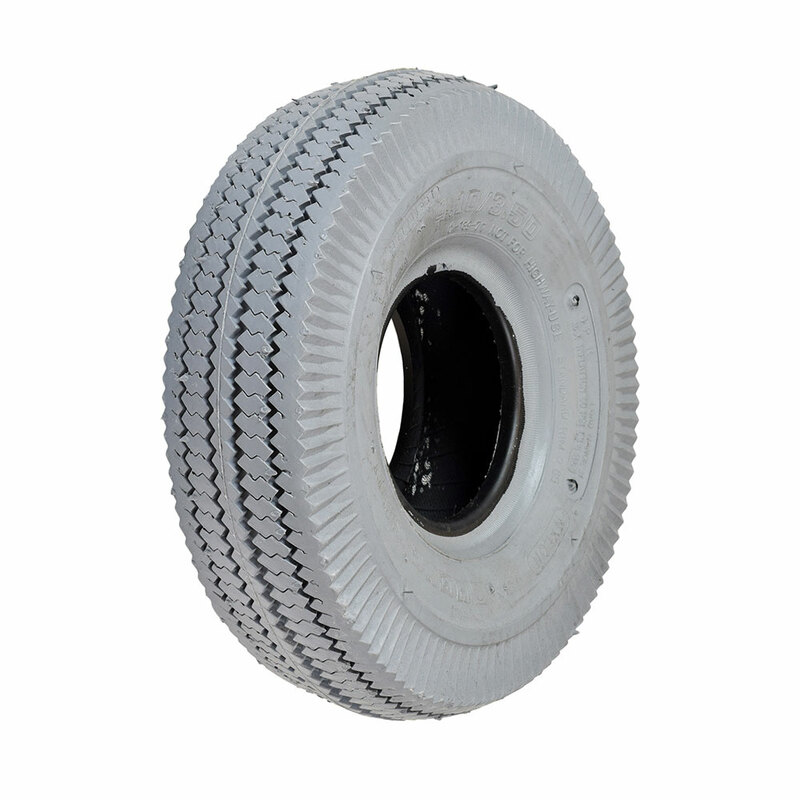 Kenda 4.10/3.50-5 pneumatic tire with the sawtooth tread pattern. This tire fits many mobility scooters and power chairs. Non-marking gray rubber. Tube sold separately.